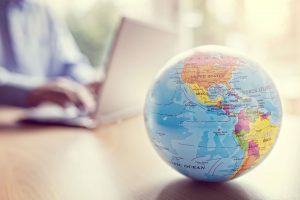 As the world becomes smaller and smaller each day, and technology brings us closer together, it is common for family law issues to arise across different countries and jurisdictions. It also means that people have access to information from a whole range of countries. It can be through Facebook or Instagram posts, TV shows, chats, YouTube or news articles. Australia has its own laws regarding family law. They are unique to Australia and different to every other country. So, if you are an Australian citizen and live overseas, or you live in Australia and have property overseas and you separate, problems will arise as to what country laws apply to your situation. Not surprisingly, International family law is a very complex area, and the laws are vastly different from country to country. You certainly can’t assume that one person’s experience with family law in one country may indicate what will happen in your situation. One way that family law matters may involve multiple countries is when parties own property, assets and liabilities across different countries. Different countries deal with property settlement different. For example, many countries deal with property settlement and divorce together as part of the one action. Also, there may be different time limitations involved in different countries. In parenting matters, there may also be a cross-over with international treaties and conventions, such as the Hague Convention. Which country deals with a matter? Where the parties are living? Where the child is living? Where the parties lived during the relationship? Are overseas orders enforceable in Australia? Are Australian orders enforceable overseas? Will the law in a different country result in a vastly different outcome? Is the country a signatory to the Hague Convention? What if there is a cross-over in a jurisdiction? In cases where there is a crossover in a jurisdiction, parties may be required to obtain legal advice in different countries, before they make decisions about how to best proceed with their family law matter. What’s essential is that advice is obtained and a plan prepared as an ill-prepared step could lead to serious consequences. Although globalisation has created some issues in resolving family law disputes, it also allows our firm to act for clients and provide advice all over the world, without the need for clients to be here in Australia. We are able to provide Skype or telephone appointments to clients living overseas. Once a matter has commenced, much of the work involved can be communicated via email and phone calls. Contact our office today on 07 3221 4300 to arrange a fixed fee initial consultation to discuss your international family law matter.